Brita filter cartridges are a key part of both filters and espresso coffee, with extraction results directly impacted by the quality of water used. 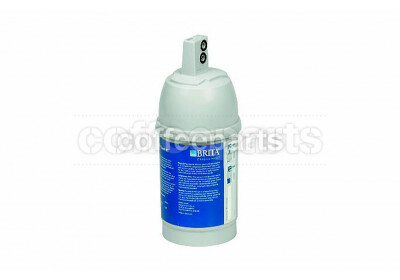 Brita have specially developed Brita commercial coffee water filters for use in the food service industry such as cafe and restaurant. 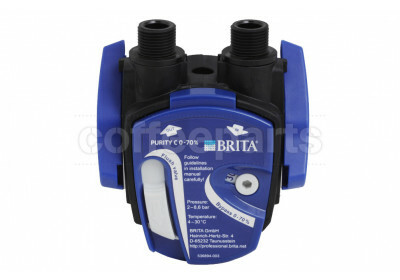 The Brita Purity C Quell ST filter cartridges were designed to reduce the carbonate hardness in drinking water, thereby preventing scale deposits in the appliance. The name Purity in the Brita filter cartridge is synonymous with the highest level of product safety, simple handling and reliable drinking water optimisation for improvement of drinking water for applications involving food. Water quality varies dramatically from location to location, and this intern has a massive effect on both the quality of espresso and performance of the coffee machine. From a machine perspective, sediment causes blockages in the group head injectors, flowmeters and solenoids, as well as excessive ware on the water pumps and valves. Generally, for Australian cafes, depending on location, the primary concern is Total hardness (TH) reduction. Total hardness refers to the presence of Magnesium and Calcium salts in the water, which form scale and it is recommended to bring the carbonate hardness down to 100ppm. Scale causes machine inefficiency with scaled elements using up to 40% extra power consumption (also increases machine start up time and reduces machine recovery) and eventually the scale causes the machine to completely block up. Other issues with scale is that they stop sensors such as the water level probe to register correctly which can cause the boiler to run dry or overfill. And chemicals such as chlorine which will negatively affect the taste of espresso, especially as espresso is 98% water. Brita coffee machine water filter are essential to not only reduce chlorine, tase and odur, but remove bacteria from the water. Water with a low carbonate hardness will result in the cup as very watery thin coffee, and a high carbonate hardness will result in the coffee tasting chalky. 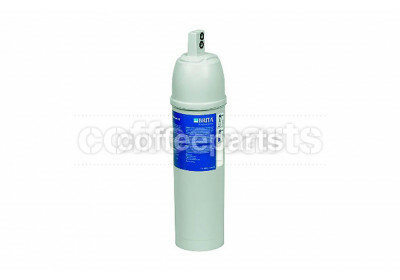 So water filters in Australia are a big part of the coffee making process. While we focus on water filtration for commercial espresso coffee machines and drinking water, ice machines, steamers and combi-ovens also all require filtrations to avoid substance build up. Yet most importantly for us we all want to do better by our amazing planet and our health. We know how bad single-use water bottles and plastics are for the environment. So we are passionate about water filtration systems with the aim of reducing disposable water bottles which ultimately just cause landfill, and increasing health. From a health perspective, the right water filter cartridges can also protect against giardia and cryptosporidium while reducing tastes and odours as well as reduced chlorine. Choosing the right Brita cartridges water filtration system is crucial both for espresso quality and machine performance. To ensure your system continues to provide the highest quality water for your cafe, we recommend replacing your cartridges every 3-6 months, however if really depends on usage. 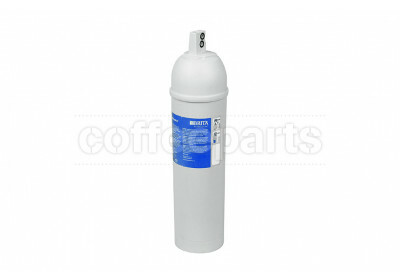 Indicators of a replacement water filter being needed are when flow is diminished or when the system’s rated capacity is reached. We highly recommend water filtration for all espresso machine setups, and in most cases not having a water filter voids machine warranty. The love of the environment may not be on everyones front of mind, yet Brita water filters make a huge difference especially in reducing crucial landfill.